Snow and ice accumulation can make it hard for commercial businesses to operate. 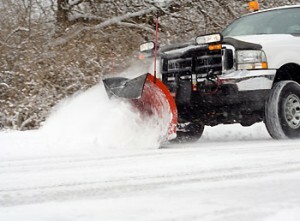 E-Landscape provides snow and ice management with the highest level of safety, quality, reliability, and detail. From corporate offices, medical facilities, retail shopping centers, apartment complexes, we can provide a custom snow and ice management plan that will ensure your corporation looses no business because of weather. To ensure that our clients business is uninterrupted,, we prepare our crews and equipment before a storm hit. Promoting safety and ensuring the uninterrupted flow of business to your property are always our main goals. Don’t wait until the snow falls – contact us today to ensure you will be ready for whatever the forecast brings!